The Shadow Lord’s evil tyranny over Deltora has ended. He and the creatures of his sorcery have been driven back across the mountains. But thousands of Deltorans are still enslaved in the Shadowlands, the Enemy’s own terrifying and mysterious domain. 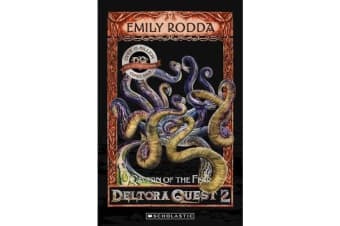 To rescue them, Lief, Barda and Jasmine, heroes of the quest for the Belt of Deltora, must find a weapon powerful enough to combat the Shadow Lord’s magic on his own ground. According to legend, the only thing the Shadow Lord fears is the fabled Pirran Pipe. But does the mysterious pipe still exist? And if it does, what dangers will the companions have to face to find it? Will its ancient magic still prevail against the Enemy’s sorcery? Filled with doubts the companions move on, knowing that whatever happens, their quest will end in the darkness and horror of the Shadowland itself.